The federal government has wrapped up the cross-country pre-inquiry consultation with families, and has announced the inquiry will be launched by this summer. But there are still many questions about how the government will conduct the inquiry. But there are still many questions about how the government will conduct the inquiry. 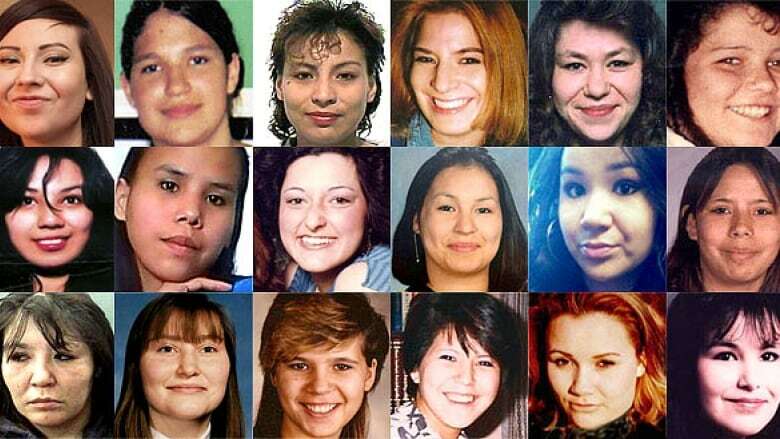 The Native Women's Association of Canada (NWAC) has released a list of 22 recommendations to help guide the inquiry, created with the help of indigenous female leaders, family members of murdered and missing indigenous women, and human rights experts from the United Nations and the Inter-American Commission on Human Rights. "The road ahead will be grueling, but it is nothing we can't handle if we remain focused and committed to our overarching purpose: bringing justice to our women and girls," NWAC president Dawn Lavell-Harvard stated in a release. The report urges that the inquiry be led by indigenous women, since they would be the best to speak to the unique experiences of other indigenous women. 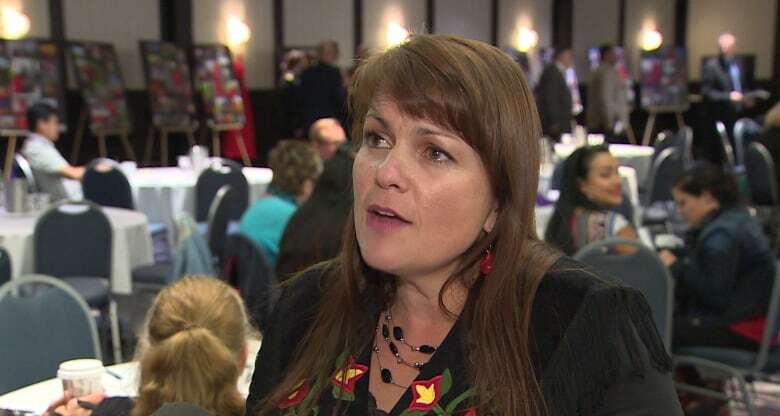 Dawn Lavell-Harvard, president of the Native Women's Association of Canada, says indigenous women must take the lead in the national MMIW inquiry. (CBC)"We have a long history of governments, and the mainstream, stepping in and attempting to do for us, and speak for us, which has never led to positive outcomes," Lavell-Harvard told CBC News. "So even though it seems like a bit of a 'no brainer,' it needs to be absolutely included." The group wants the federal government to examine why indigenous women and girls remain socially and economically disadvantaged, in addition to examining why indigenous women experience sexualized stereotyping. "We can't lose sight that this isn't just a race issue, that it is a fact that a particular group is being doubly discriminated against … because you have the intersection of the racism and the sexism, and the challenge here is about the intersectional violence," said Lavell-Harvard. The group foresees an obstacle in getting full co-operation in the inquiry, writing "that the government of Canada [should] immediately secure participation in the inquiry from all the provinces and eight territories." 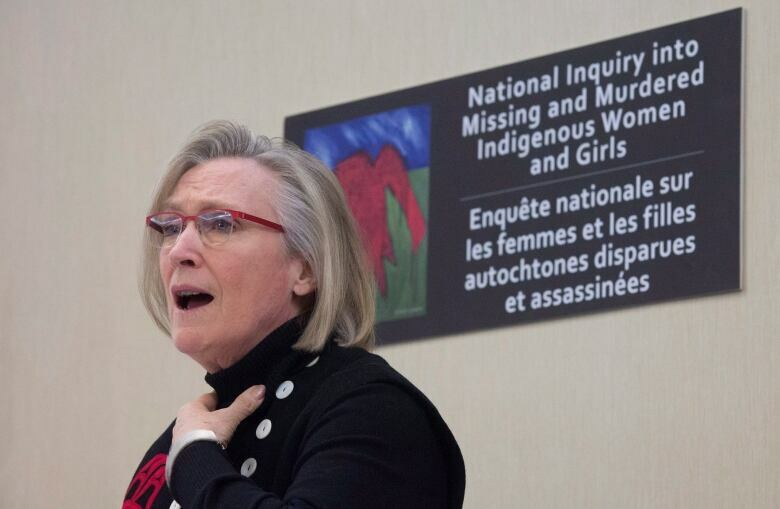 Carolyn Bennett, minister of Indigenous and Northern Affairs, has wrapped up the cross-country consultations with families and friends of missing and murdered indigenous women. (Adrian Wyld/Canadian Press)"If the provinces don't commit to [giving access to] all of their jurisdictional areas … we're going to have half an inquiry, we're going to have a significant gap," said Lavell-Harvard. The report also states that there needs to be an effort made to examine past failures of police and judicial systems. And for families that want a case re-examined, a "special mechanism for the independent review of those cases" must be developed. The group also encourages changes to be made to Canada's Indian Act to remove all language that is discriminatory to women — a recommendation repeatedly made by the United Nations Committee on the Elimination of Discrimination Against Women. "We need to ensure that the national plan that emerges from the inquiry will move us towards fulfilling the rights of indigenous women and girls and meet the obligations of Canadian governments," Shelagh Day with the Canadian Feminist Alliance for International Action (FAFIA) stated in a release. The federal government has committed two years of funding for the national inquiry, but NWAC believes setting a time limit might prove to be a problem. The recommendations state that the inquiry must "be independent from government, adequately funded and free from legal, time or funding restrictions."